While Daniel is feeling crushed under the weight of his failures, Julian is feeling crushed under the weight of others' expectations. 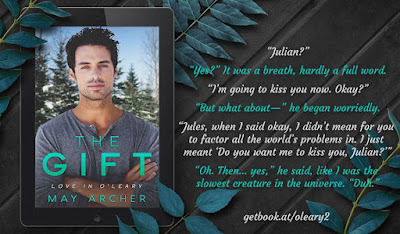 Both men are surprised to find a quick, easy, and deep connection with one another and their friendship brings peace to each of them; something so elusive they'd nearly given up on it. As feelings evolve, deepen, develop new facets, they each will have to come to terms with those changes within themselves and the consequences of giving in to its tempting warmth. But they might end up being their own worst enemies as their individual insecurities and history seek to sabotage the possibility of a future together. Julian was interesting when we first met him in The Fall and his connection with Daniel seemed more romantic than friendly there. But here we're given something much sweeter with a very slow-burn romance that builds through the course of their interactions. My memory of Julian in the previous book doesn't really match the person we meet here, but aside from the diminutive stature and internal struggle with pleasing everyone before himself, I quite liked him. He had a slightly neurotic depth that charmed me right away. And for Daniel to see all his sides and find him just as endearing was a win. As Julian goes off on Nature Channel-esque narrations regarding animal traits and behavior, Daniel is quietly falling in love with him for it. Even though it takes Daniel quite a while to realize what's happening emotionally between them, he doesn't throw up roadblocks in their friendship which I truly appreciated. Daniel vacillated more and because the "surprise" of his past was waiting for the revelation right at the very end, it drew out his situation as well as the reveal that could have been given earlier in his thoughts, especially when Julian's fanboy status was mentioned more than once. 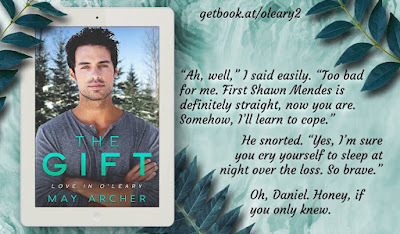 While the moment when he came clean about his career identity is utterly perfect and completely sweet, I was almost to the point of eye-rolling and sighing in exasperation when even Daniel's thoughts evaded complete honesty. I also feel that we were missing a lot of Daniel's evolution regarding his family. 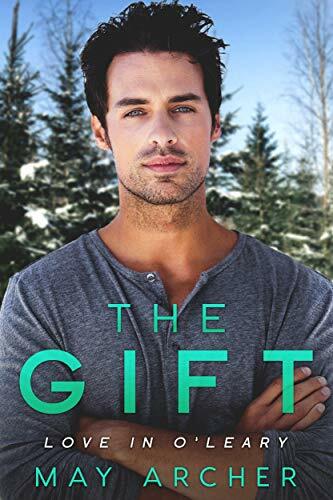 I agree with the separation because of timing, but without getting Daniel's familial and career resolution while he was reconciling who he was with who he is, Daniel's character fell a bit flat overall for me. The surprise connection between fan and former career wasn't all that surprising; actually, none of the conflict was. While it was quite predictable, I didn't think it detracted from the story. Because we got a good sense of who these men are individually and what they struggled with before they forged their friendship, it was a natural progression in terms of their insecurities getting the best of them at times. I did find Julian more mature and forthright than Daniel, however as he took advice and caution with both irritation and introspection. Because it was so honest in the assimilation and follow-through, I found myself gravitating toward him more often despite the very repetitive reiteration of his self-perceived flaws. I found this story charming, sweet, and humorous. Add in some serious steam and incredible tenderness and you've got a total win on your hands. I enjoyed revisiting the well-intentioned yet über gossipy and nosy residents of O'Leary, and getting a good idea of what to expect when we get Parker and Jamie's story doesn't hurt either. That one's sure to be angsty and explosive as well as healing and redemptive. Definitely looking forward to more from this little nowhere town full of surprising characters and so much love.